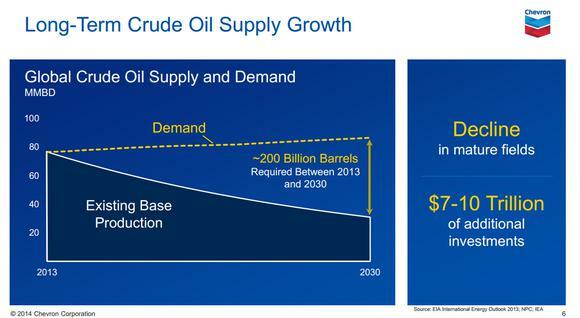 new supplies will cover both demand increase and production decline form the existing oil fields. The current oil price is due to a world economic recession and not to some mythical glut. I believe this is the ideal time to invest in building natgas energy plants all over Russia and Russia offering to countries like India and China. Not only will it be cheaper for various countries over the other methods (besides coal) but also cleaner. This would guarantee a demand for gas, it woulf be cheap in long run, and bragging rights would also be in place (possibly increasing Russias natgas export). For the last 15 years, there has consistently been more supply and less demand than expected. There won't be any pil crisis because present-day technology makes electric cars competitive economically at about $80 per barrel, and who knows where the technology will be in 5, 10, or 15 years. If there is a rapid spike in oil prices, in the developed world more and more will switch to electric, and demand will simply level off. Do you seriously believe that there is some sort of technological transformation in transport going on? Where? Also, the CO2 emissions are tightly locked to world GDP growth since the industrial revolution at the latest. 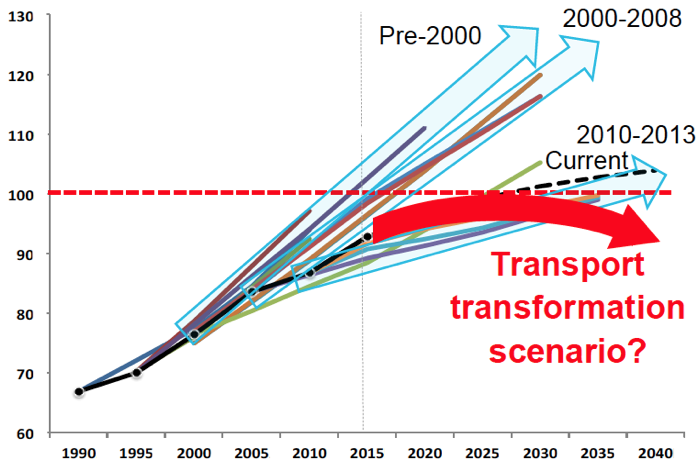 I don't see any evidence of any technological transition. extremely difficult to exploit (aside from digging up the shale, crushing it and burning it in furnaces as they do in Estonia).